France: Can Macron heal a divided nation? France’s youngest-ever president faces steep challenges. This was a presidential election “for the record books,” said Alexis Feertchak in Le Figaro. Centrist newcomer Emmanuel Macron beat nationalist firebrand Marine Le Pen 66 percent to 34 percent this week to become France’s new president, and nothing about his victory was normal. At 39, Macron is the youngest president in French history, and has never before held elected office. The runoff election was the first time that neither of the two main French parties— the center-left Socialists and the center-right Republicans— was in contention. A record 25 percent of French voters did not go to the polls at all; another record 12 percent cast blank or spoiled ballots. And while Le Pen lost, she took the highest vote share to date for a farright candidate—her father, National Front founder Jean-Marie Le Pen, won only 18 percent in the 2002 presidential runoff. The upshot is that Macron has “no real mandate,” said Hervé Nathan in Marianne. He is president thanks to the “anyone but Le Pen” vote, the determination by the majority not to allow a xenophobic ultranationalist to represent France. 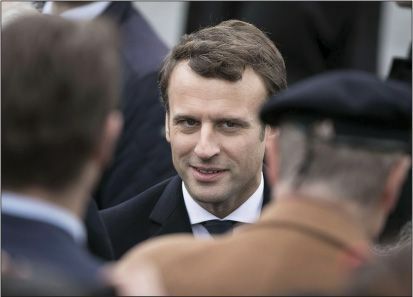 A former investment banker and economy minister who quit the administration of outgoing Socialist President François Hollande because of his frustration at the slow pace of reform, Macron wants to deregulate the labor market and simplify the tax system. Did the French really vote for that? We’ll find out next month, when Macron will try to get a parliamentary majority for his new party, Forward!, which is still struggling to recruit members.